The Township of Langley got its first taste of junior hockey in the 1973-74 season, when the Langley Lords became a member of the BCJHL. The Lords competed for 5 seasons in the league which saw them experience regular season success without anything materializing into playoff success. In 1978-79, the Lords changed their team name to the Langley Canadians. The team were a bottom feeder for their lone and ceased operations. For the start of the 1981-82 seasons Junior A hockey returned to Langley, as the Langley Eagles returned to the BCJHL. The Eagles competed for 7 seasons in Langley with 1983-84 being the most successful. That season saw the team finish 40-8-2, placing third in the league. In the playoffs the team flew past the Abbotsford Flyers and Nanaimo Clippers to face the Pentiction Knight – placed first in the league – in the finals. That series saw the Eagles sweep the Knights to become the League Champions. 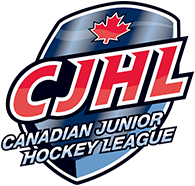 The team went on to beat the Prince George Spruce Kings – the Peace Caribou Junior Hockey League champions – two games to none to win the Mowat Cup. In the BC/Alta Championship, Fort Saskatchewan Traders were out bartered, 4 games to 2. The team failed to capture the Abbott Cup as they were ousted 4 games to 0 by the eventual champions, Weyburn Red Wings.The Langley Eagles moved to Chilliwack prior to the end of the 1987-88 season. Eight years later, the Langley Thunder appeared for the 1995 season. The Langley Thunder would compete for 4 seasons with the highlight being a league finals appearance in 1996, which the team lost to the eventual Royal Bank Champions, the Vernon Vipers, 4 games to 1. In 1998-99, the Thunder became the Hornets. The team experienced some success under the guidance of Rick Lanz. The Langley Hornets existed until the end of the 2005-06 season, when the team was relocated to West Kelowna. The team is now known as the West Kelowna Warriors. Following the move of Hornets to Westside, it was the Langley Chiefs’ turn to take up residency in Langley for the 2006-07 season, as the Chilliwack Chiefs Junior A team was relocated to Langley. The Langley Chiefs transferred to the brand new state of the art Langley Events Centre for the 2009-10 season. From there, with a change in ownership for the 2011-12 season, the Langley Rivermen were born. 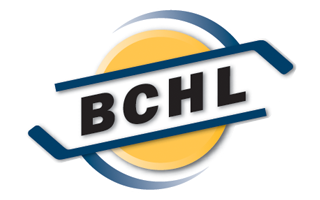 The Rivermen enjoyed their best season to-date in 2013-14, winning the Ron Boileau Memorial Trophy, which is awarded to the team who finishes the BCHL regular season with the best record. The Rivermen finished the season with a record of 37 wins-13 losses-3 ties-5 overtime losses for a total of 82 points. The Rivermen name is derived from the history of Langley. The early explorers and traders of the Hudson’s Bay Company and the Northwest Company, the Rivermen, came to British Columbia’s West Coast to trade fur, carry goods, and create partnerships. These explorers are who laid the ground work for Langley. Like the strong and tenacious settlers who established the first roots in this community, the Rivermen are poised to boldly forge their way into a new era. This is what makes the Rivermen the first hockey team to truly reflect the community and honour its history and heritage. The team’s colours are blue and beige, representing the water and agriculture that sustained the early settlers and continues to be a substantial part of Langley’s make up. The hope is that the Rivermen are not just giving Fraser Valley residents an exciting hockey team of their own to rally behind but to create an opportunity to educate residents about the community’s past and commemorate those who made Langley what it is today.